TV presenter Helen Skelton, best known for presenting Blue Peter and Holiday Hit Squad, is pregnant with her first child and is about to release her children’s novel, Amy Wild. With so much going on, we had to grab a minute with her to find out how she’s been getting on with her pregnancy and how she has time to fit everything into her busy schedule! 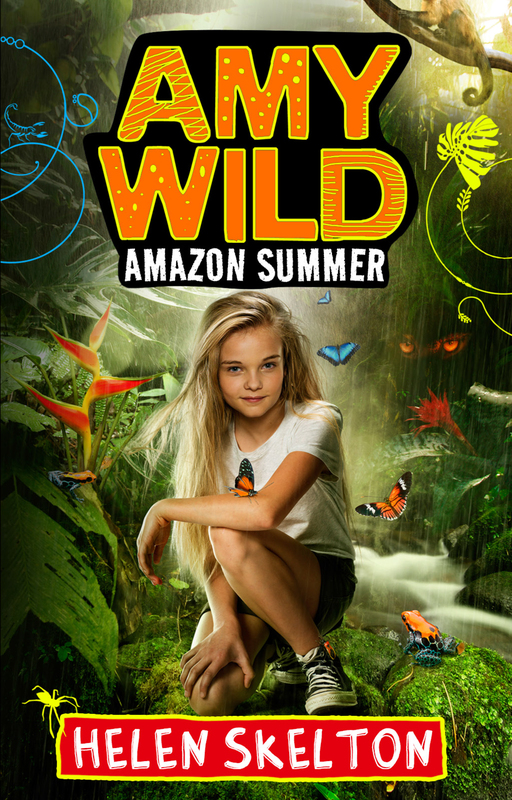 Your book is all about Amy Wild’s adventures through the Amazon; did you draw on your own experiences? Very much so. I really wanted to describe the place and the people as I found them and try to excite young people about the world beyond their back gardens. Although it’s fiction, it’s based on real places, I wanted it to be as realistic as possible so that kids can look it up on Google, think about going there and really start to believe that the stories I have written could happen. For me, the book was a way of writing about some of the places I have visited and things I have been part of so that I can document it for my grandkids without having to go on and on and tell anyone who will listen! I’ve always enjoyed writing and storytelling and have a huge amount of respect for authors and knew I wanted to give it a go at some point. It’s been the scariest thing I have ever done though. How did you manage to fit writing a book into your busy schedule? It took a lot longer than it should have! I wrote it, then when I started working with a publisher I re-wrote it and started pulling it apart and changing bits. It was a bit like pulling a loose thread on a jumper, when you pull one bit, it all falls apart! I kept pulling and picking at bits because I was and am nervous what people will think and also wanted to make sure it was the best it could be. I am pleased with the final result and hope people enjoy it! Did you take inspiration from any books you read as a child? I love that Jacqueline Wilson has written so many books about strong young women. I was inspired by Francesca Simon’s commitment to putting contemporary spins on things. I enjoyed a series called the “Baby Sitters Club” when I was younger, it was about a group of girls who actually did things. I knew I wanted my main character to actually do something! A lot of people have influenced this book! You recently supported the Get on, Read on campaign with Save the Children… how would you encourage children to read? Try different things, if you’re a girl read books you think are for boys and vice versa. Swap books with your friends and don’t worry about reading big thick books, if you want to read a magazine or a comic that’s fine too! If you’re a good reader get together with your friends and read to each other. Of your many adventures, which did you find the most challenging? The Namibian ultra marathon. I had to run 80 miles in the dessert in 24 hours. I had a few months to train and had never ran a marathon. I am no runner so it was hard trying to convince people I should be allowed to give it a go. I didn’t know what my body or mind was capable of until that point! You’re about to become a mother, which some might say is the biggest adventure of all! Has it affected your life in any way yet? Very much so. I have had to reasses what kind of work and filming projects I can take on. We’re really lucky to be having a baby naturally and touch wood, so far everything has gone well, so I don’t mind giving up some work things. Even if it is hard to say no! I can’t exercise in the way that I did and I have lost my writing space to the baby – it’s becoming the nursery! Have you found pregnancy a challenge? Any funny cravings?! My friends hate me, but I have actually quite enjoyed it so far! Mind you there is still a long way to go. No cravings, I just want to eat chocolate all the time, it’s not so much a craving but more the fact I think I can have it guilt free! The weirdest thing is that I am short of breath a lot. Apparently it’s to do with the baby sitting in my lungs?!?! Who knew!? 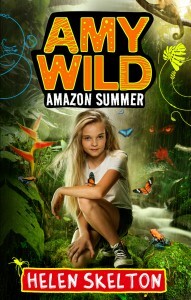 Amy Wild by Helen Skelton is out on 7th May. Pre-order here.